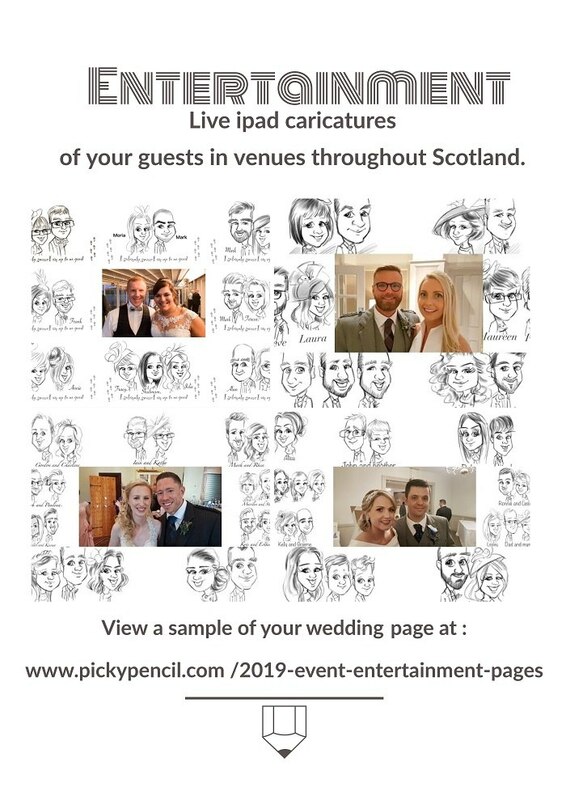 I am a live ipad artist who draws fun,fast and flattering caricatures of guests at wedding,corporate and private functions. 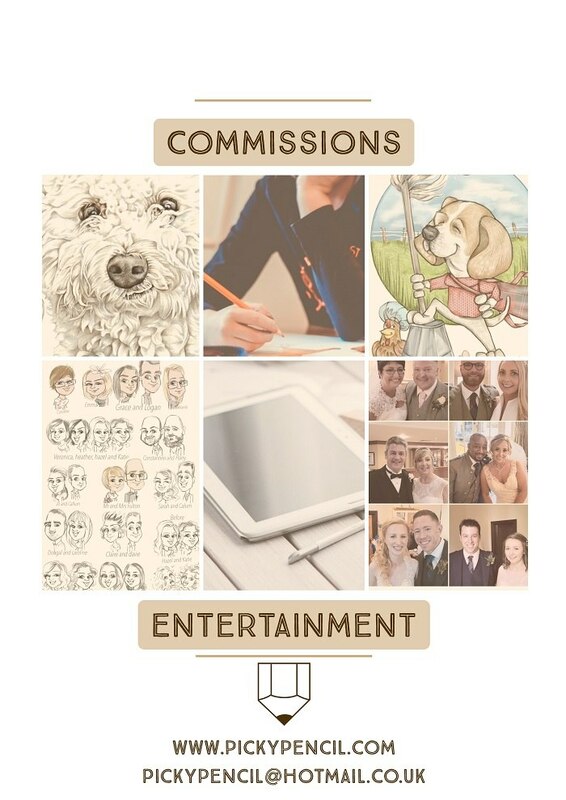 I am a freelance illustrator based in Aberdeenshire specialising in traditional pencil pet portraits and digital iPad caricatures for live entertainment and commission work from photos. 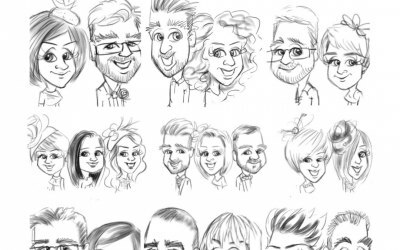 At live events I provide your guests with fun, fast and flattering black and white head and shoulder caricatures to take home the same day. 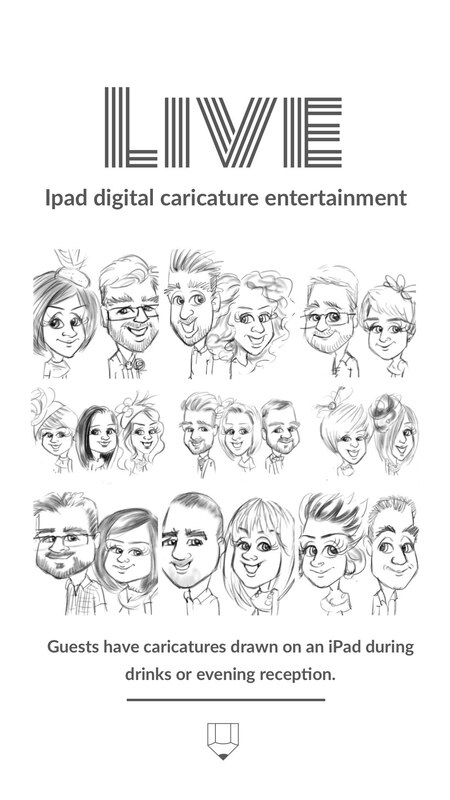 All caricatures are drawn on an I pad pro and apple pencil. 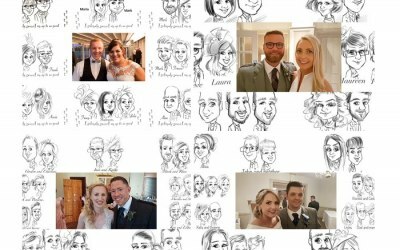 · approximately 10 head and shoulder ,black and white cartoons created in an hour . 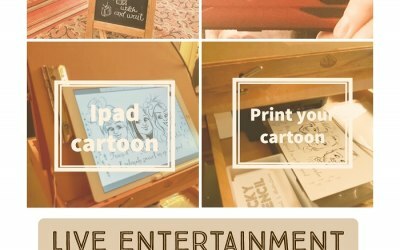 · 22 inch monitor transmitting cartoon. 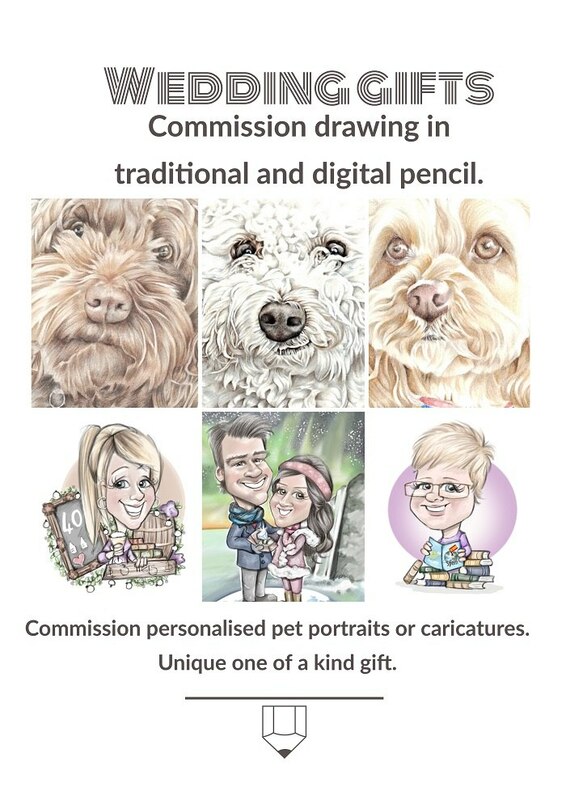 · Personal message on a small card which accompanies every cartoon. 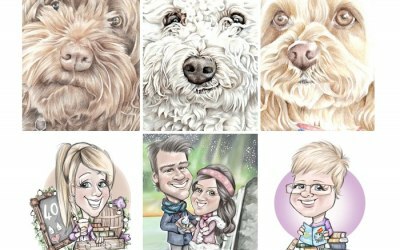 · Dedicated web page where guests can request a digital copy of their cartoon. 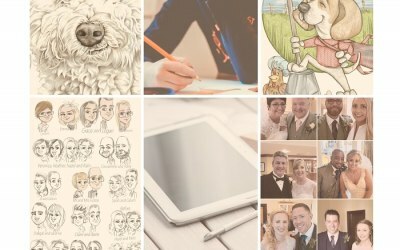 · Newly weds receive their cartoon through an email along with a link to their personal web page shortly after the event. 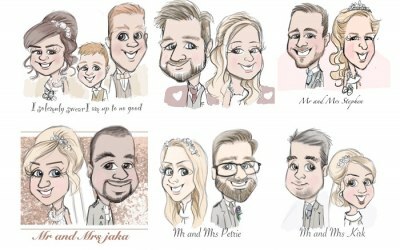 I typically work at weddings drawing caricatures to entertain between the ceremony and the meal , after the wedding breakfast or during the evening reception. I attend birthday parties often as a surprise for the guest of honour. 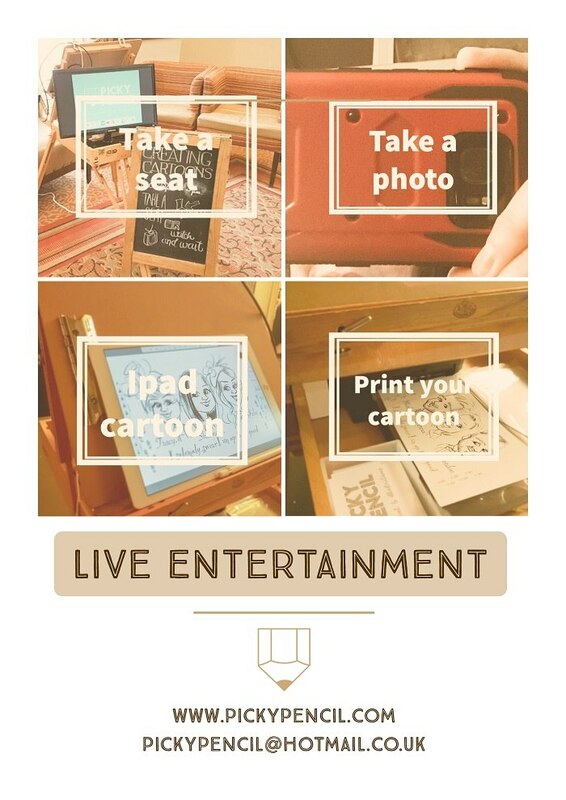 I enjoy attending corporate functions such as Christmas parties , award ceremonies and anniversaries. Thank you for coming along to our works 5th birthday party. You did a great job from start to finish and it was a pleasure talking to you throughout the night. Thank you for your review and for inviting me along. It was great meeting you and everyone there on the night. 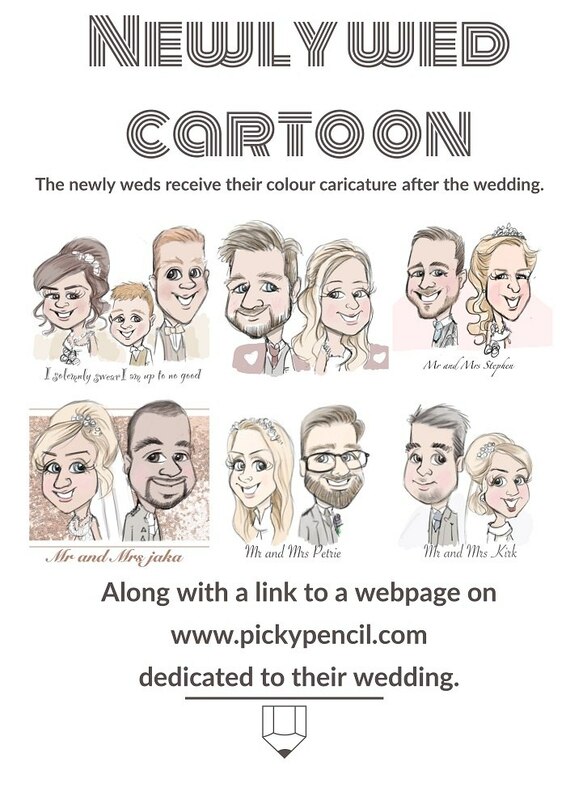 Get quotes from Picky Pencil and others within hours.